When it gets hot here in Alabama, all I really want to do is sit on the porch and drink Lemonade. It is hot and it is sticky. So our best defense is to stay as still as possible. Summer is not officially here yet, but we have already had many of those two hot to move days! I decided to make a fun little card to celebrate the warmth of the Summer and well Lemonade of course…. I love sharing different ideas with you about how to use your Stampin’ Blends! Stampin’ Blends are Stampin’ Up! version of Alcohol Markers. They are awesome in every way!!! Check out this post for more information about the Stampin’ Blends. One of my favorite stamp sets from last years catalog was the Coffee Café stamp set! I love anything to do with coffee or tea. And after almost 20 years in the Café business this set just makes me happy! The stamp set and dies were combined with a technique by Jennifer McGuire, called Set Back Stamping. This is a fun technique that really takes advantage of good white space, a focal point, and a colored panel. To create Set Back Stamping you will want to have coordinating die and a stamping tool, such as the Stamperatious is useful. Using the Stamperatious, The cup was stamped on Whisper White with Memento Tuxedo Black. The cup on whisper white was colored with Pineapple Punch and Daffodil Delight blends. After coloring in the image I decided to add Ice Cubes and the Straw. The next step was, to use die cuts to cut the panel. The inside of the cup was discarded. Then the panel was popped up using plenty of dimensionals. The final touch was using the same coloring technique to creat a thin yellow background on the card base. Have a great Monday!! We have another catering event tonight at work. But, I’m planning on sharing with you again tomorrow!! Till then, go and live creatively!!! Yesterday, I shared a sweet pouch box that is perfect for a set of cards. You can see the pouch box here. Today, I’m sharing the cards that will go into the pouch as a gift! I used the same products to make coordinating cards. The Merry Café is defiantly a favorite stamp set. I love how this set coordinates with the Coffee Café bundle in the annual catalog. The little perk up even coordinates with the small coffee cup die. What fun! I mix and match stamps from both sets all the time! I love the sketched look of the coffee cup in Merry Café so I use it a lot!!! I also adore the little coffee beans in the Coffee Café set ! They both go perfectly with the Painted Autumn Designer Series Paper. I adore this paper! I seem to be wanting to use it on every project! The colors are just amazing and there are some watercolor wash pages that I just love!! The colors are Cajun Craze, Soft Sky, and Chocolate Chip. The thanks a latte (Coffee Café) is stamped in Soft Sky! I promise thought, I’m wondering if I used Pool Party to ink my Soft Sky Ink Pad. The yellow peeping out behind the Cajun Craze coffee cup sleeve is made by cutting a yellow sleeve then cutting it in half and glueing it to the back of the other coffee sleeve. I hope everyone is safe and sound after all the whether we have been having. So many in Texas who are trying to recover and in Florida. As well as much of Georgia and South Carolina. Then the fires up north and in the west. It has been a rough month. My thoughts are with each of you in these areas. This is such a fun time of the year! Football, pumpkins, hot tea, and of course coffee. I decided to celebrate the upcoming fall season with two sets of cards and a pocket box to hold them. These will make great little gifts for friends! I can’t wait to share them with my coffee loving friends. While I had my supplies out, I also made a mini pocket for at treat such as Ghirardelli squares. To make these pocket boxes I decided to use the Merry Café set in the Holiday Catalog. This set is just wonderful! It is full of goodies for fall café cards and Christmas café cards. It is jam-packed with sentiments, and little stamps to decorate your coffee/tea cups up! I love all the detail stamps included in this set. The card pocket is a case from fellow demonstrator, Kelly Acheson at A Stamp Above. When I saw Kelly’s pocket I thought it looked familiar, that’s because my friend Julie DiMatteo at the Paper Pixie had made a mini version of the pocket fold. She is an origami genius!! I love all of her boxes and mini projects. I have several pictures for you today of the process of making the pocket fold box. But, make sure you check out Julie’s and Kelly’s blog post. They both have great videos that show you exactly how to make the card. Kelly’s pocket fold box. Julie’s mini pocket treat holder. After you have gathered your supplies then you will want to cut your paper down to 7 1/2 by 12 inches. Then you will use your score board to do some scoring. You will want to burnish each score line with the bone folder. After burnishing you will want to fold it like above. Then you will take your finger and hold it at the crease where the score line meats the folded edge. With your other hand you will pull back the score line to line up with the folded paper. And score on the diagonal line created. You will want to do this process on all four sides. So that you end up with something that looks like the below picture. This shows you the basic form of the pocket box. All that is left is to make the top of the box and to glue the sides down. The top of the box is as follows. The paper is cut at 4 3/4 x 3 3/4 inches. You will want to burnish the two score lines. Then you will glue down one of the scored sections. I used my template to decide which way to cut the designer series paper. In this case the florals were cut so that they run up the top of the pouch box. So the 4 3/4 inches side is the side and the 3 3/4 edge was the top of the paper. The second scored section is glued in between the layers of the pouch box. This connects your top to the actual box. To connect the lid with the box use multipurpose glue and glue down the flaps of the box. Be sure not to add glue to the section that makes the pouch. You will finish the pouch by glueing down each long fold as shown above. Here is a picture of the inside of a completed pouch box! Tomorrow I will share more about how I made these adorable little note cards. The box is decorated with the linen thread, the Labels to Love stamp set (and everyday label punch) , and the heart in Coffee Café. Coffee Cafe’ and friends are just the best ever! The Coffee Cafe’ Stamp Set is awesome and amazing! I love so much about this amazing and fun set. It is perfect for all those in your life that love coffee. But, It can also be used for so many other things. Like Lemon-Aid or a fun fruit drink. I have made a few different cards using this set. I thought it was time to share its full coffee glory with you! This Suite of products speaks Cafe’ everything from the colors to the stripes and circles in the Designer Series Paper. And the ribbon in the suite is just amazing. It is by far one of my favorite styles of ribbon because it is so very easy to use. The Classic Weave Ribbon is exactly what it sounds like. That classic cotton ribbon we all love. We all love outings with friends. This is part of what makes the world a better place. Those moments with friends that are apart of who we are. I love the time I get with friends. And nothing is better than a little time talking over coffee. Well, maybe a little time stamping, coffee, and friends. Now, that’s a wonderful time being had. The Coffee’ Cafe’ has a new friend that is going to make a Big Brew in the Holiday Catalog. The Merry Cafe’ Stamp Set.This is a companion stamp set that will make everything about Coffee Cafe’ even brighter and better! Each of the stamp sets stand alone. But, they complement each other so very much! Just like true friends. This fun square card is full of coffee happiness. Each coffee cup is stamped with the sketchy coffee outline from Merry Cafe’ . Then die cut with the coordinating dies. The cup lids are lightly colored with pool party ink using a blender pin. The Early Espresso layer is paired with the coffee stain paper in the Coffee Break Designer Series Paper. Thanks for stopping by today! I hope your Thursday is filled with laughter, friendship, and coffee!!! Let’s all try to find a moment to be creative and share what we love with others! I’m completely obsessed with square cards right now. This square is 5 1/2 by 5 1/2. The tie dye panel is 4 by 4. The cup is stamped in Old Olive and watercolor with Crushed Curry. Thanks for stopping by today! I hope each of you have a amazing Friday! Let’s all take a little time to be creative!!! 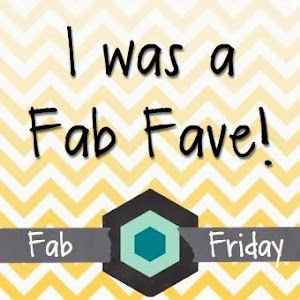 Happy Birthday for Fab Friday!